Without any warning, Walmart closed dozens of Sam’s Club stores and laid off thousands of workers. Meanwhile, the retail giant also announced some workers will get a raise, and others, a bonus of up to $1,000, citing tax reform. Walmart announced on Thursday it is closing 63 of its Sam’s Club stores. In some cases employees showed up to work having not been told of the closures, a company spokesperson said, CNBC reports. They only learned the news when they found their stores locked up with a notice announcing the decision, according to Business Insider. Sam’s Club has not said how many employees are losing their jobs. Each Sam’s Club warehouse employs around 175 people, meaning more than 11,000 could be affected by the layoffs, according to Business Insider. However, one employee at a Sam’s Club store in Alaska said all branches in the state are closing as part of a larger downsizing across the US. “From what I heard, there’s over 260 stores that have been closed down,” Jessica Buckner said, according to KTVA. Other employees received far better news on Thursday. Walmart said it is raising its starting wages for hourly employees to $11, and also offering other employees a one-time cash bonus of up to $1,000, Business Insider reports. The $1,000 bonus will go to employees who do not benefit from the newly announced wage increases. The raise will range from $200 to $1,000, depending on workers’ length of employment with Walmart. The large retailer also said it is expanding parental-leave and maternity benefits, as well as creating a new benefit to assist with adoption expenses. The starting pay for all hourly Walmart employees is now $9, or $10 for those who completed a training program. 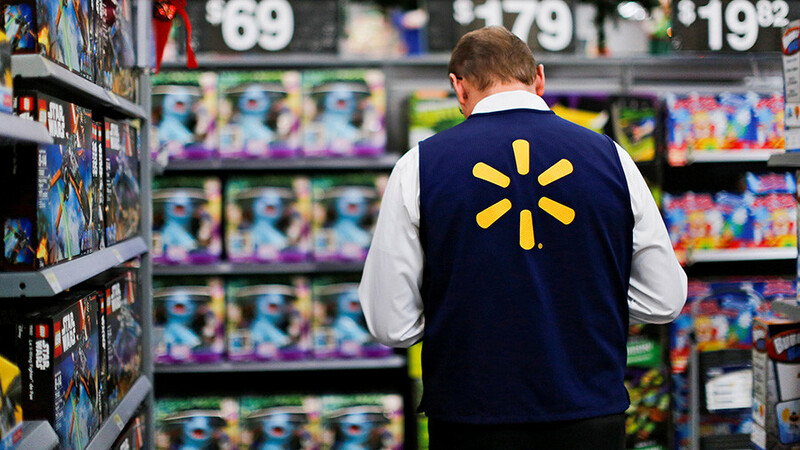 All the new changes will take effect in February, and will affect more than one million Walmart employees across the US, according to the company, Business Insider reports. Walmart CEO Doug McMillon said the changes are a direct result of the tax overhaul package recently signed by President Donald Trump. “Tax reform gives us the opportunity to be more competitive globally and to accelerate plans for the US,” McMillon added. During a press conference on Thursday, US Treasury Secretary Steven Mnuchin was asked if President Trump was going to take credit for both the layoffs at Sam’s Club and the raises for Walmart workers. Mnuchin responded saying some companies will invest capital while others will return money to workers.